1) Does it catch your attention? 2) Does it keep your attention? 3) Does it make you want to by the product? My 1st place award for advertising yesterday goes to Budweiser for their commercial with the yellow lab puppy! For starters, it reminded me of my pup, McKenna, when he was a baby. And it accomplished all three of the above criteria in spades. A home run (or a touch down) in my opinion. But, what did folks do to push their wares in the days before Super Bowl XLVIII, or TV, or for that matter radio? 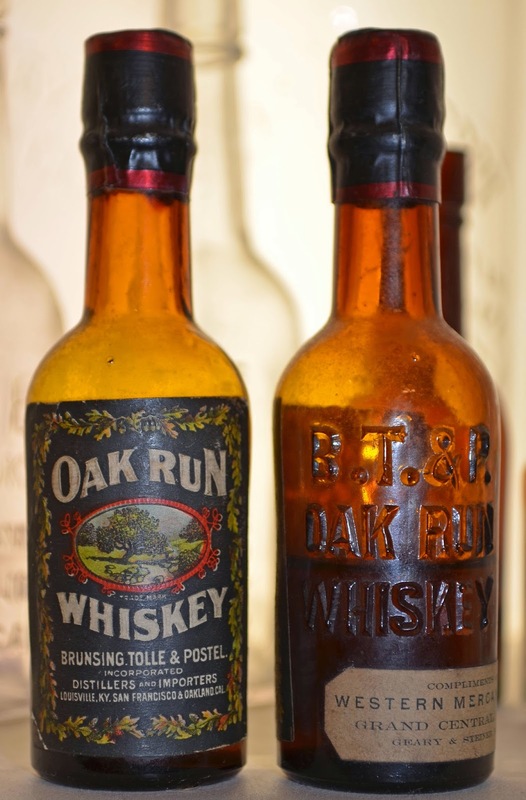 Starting around the turn of the century, the whiskey business on the west coast in general, and San Francisco in particular, became intensely competitive. Gone were the days of friendly coexistence. Sink or swim. Eat or be eaten was the new order of the day. Everyone likes a freebie. Same then as now. And the liquor wholesalers were not oblivious to this part of human nature. Free one shot sample bottles, handed out at public events helped introduce whiskey drinkers to a new brand. Free wooden sleeve corkscrews emblazoned with the brand name helped keep the product "top of mind". The ever present scantily clad ladies advertising a brand on the back bar sign that hung on the wall certainly didn't hurt either. Fancy acid etched shot glasses began to proliferate. Ash trays, match safes, even clothes brushes with the brand and wholesalers names were handed out to saloon owners and "preferred customers". Brass fobs with patriotic red - white & blue ribbons hanging off of bottles, porcelain cork toppers perched on back bar bottles, and brass door push plates stared back at potential customers. Yesterday, while watching a silent film about a cable car ride down market Street in S.F., just before the earthquake, I was astounded at the number of buildings with whiskey advertising painted on the sides of them. Photos of pre-earthquake and fire S.F. 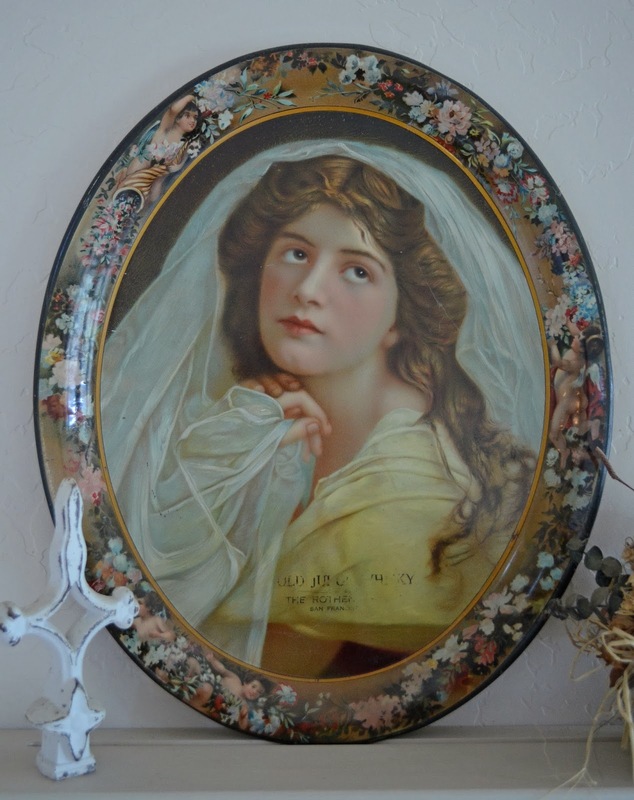 abound and many of them show stained glass transom window advertising and corner reverse glass painted signs advertising everything from Ahrens Bullwinkle, to Gilt Edge to Wolter's Bros.
And let's not forget the tip trays and advertising trays. The artwork on many of these is simply classic. 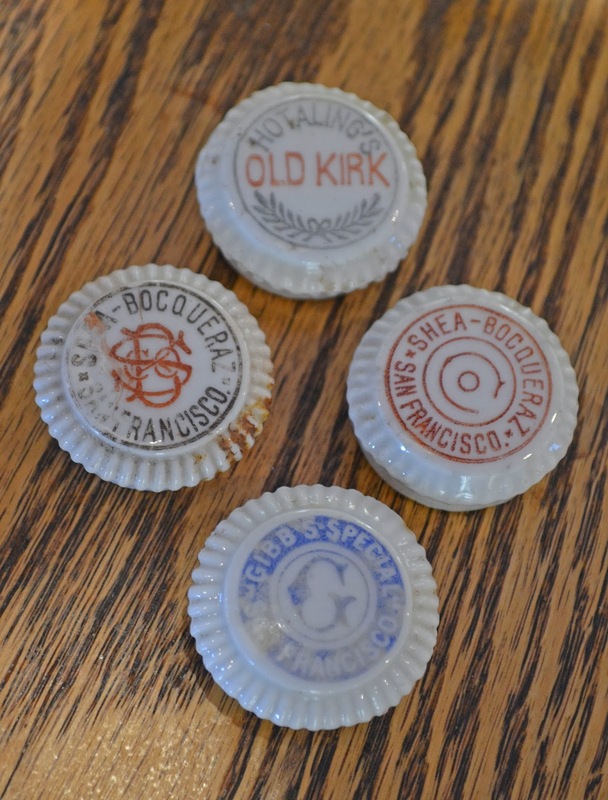 Many, if not most, of these artistic pieces of pressed tin, dating to the post TOC era, were made in Coshocton Ohio by the evolution of two large firms; The Meek and Beech Co. ca. 1901 - 1903, The Meek Co. ca. 1903 - 1909, The H. D. Beach Co. Ca. 1903+, and the American Art Works Co. ca. 1909+. They were mass produced "stock art trays" that were purchased en masse by San Francsico advertising wholesaler "Bachrach & Co". 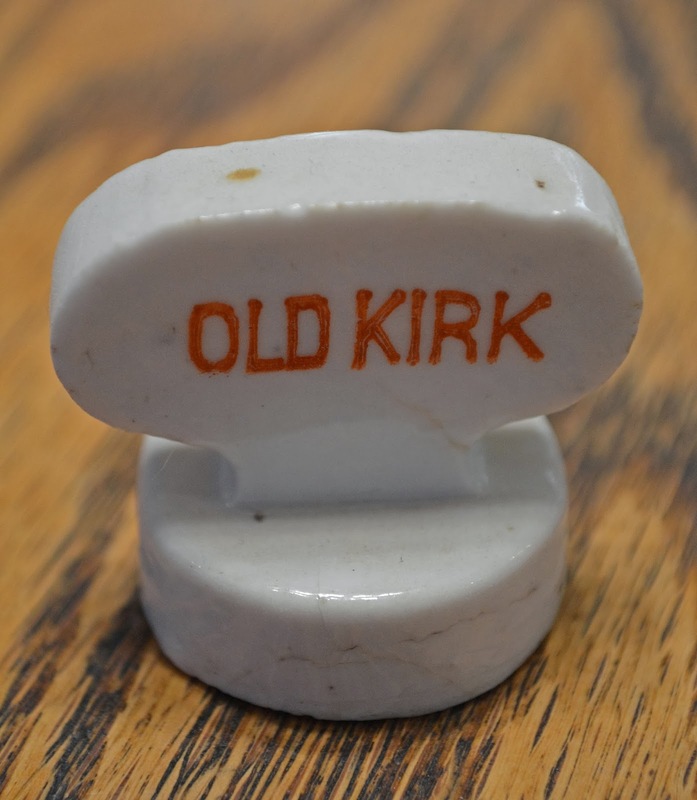 They in turn rubber stamped the proprietors name on the tray after initial production to advertise their goods. 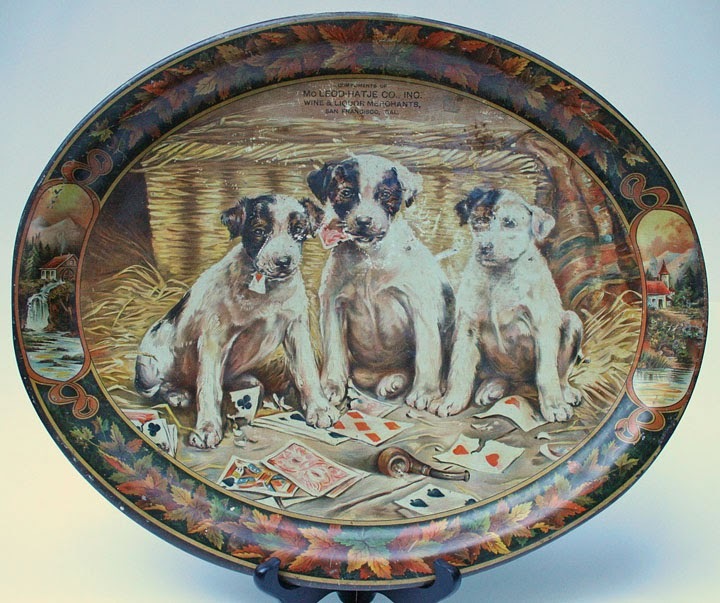 Even 100 years ago; Puppies in advertising! This stuff caught and kept my attention. That's for sure. in a New York (uh I mean, San Francisco) minute. 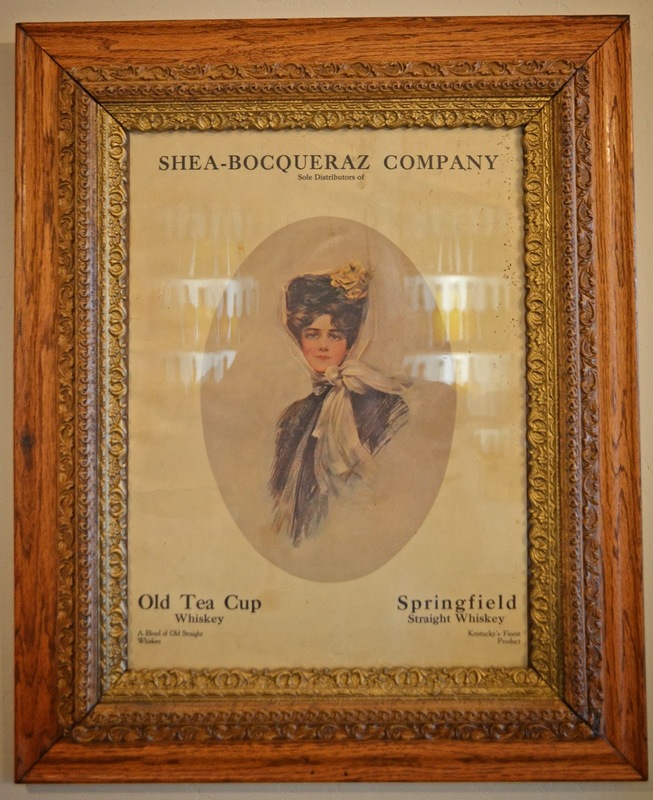 Love the old advertising stuff, especially the leaded glass window for the tavern. 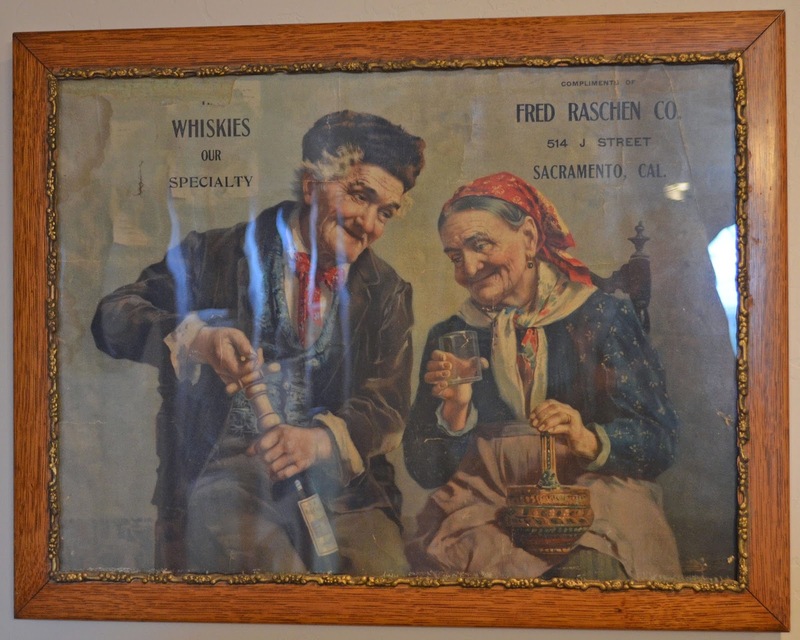 I have two early leaded glass windows advertising brand name whiskeys, among my favorite advertising signs. 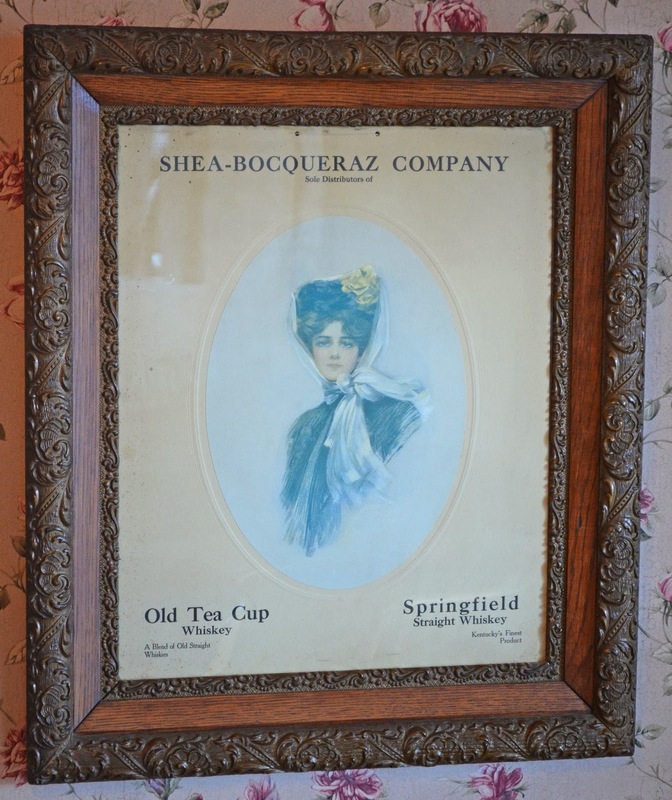 The leaded glass transom sign was acquired from the estate of a saloon owner about 20 years ago. 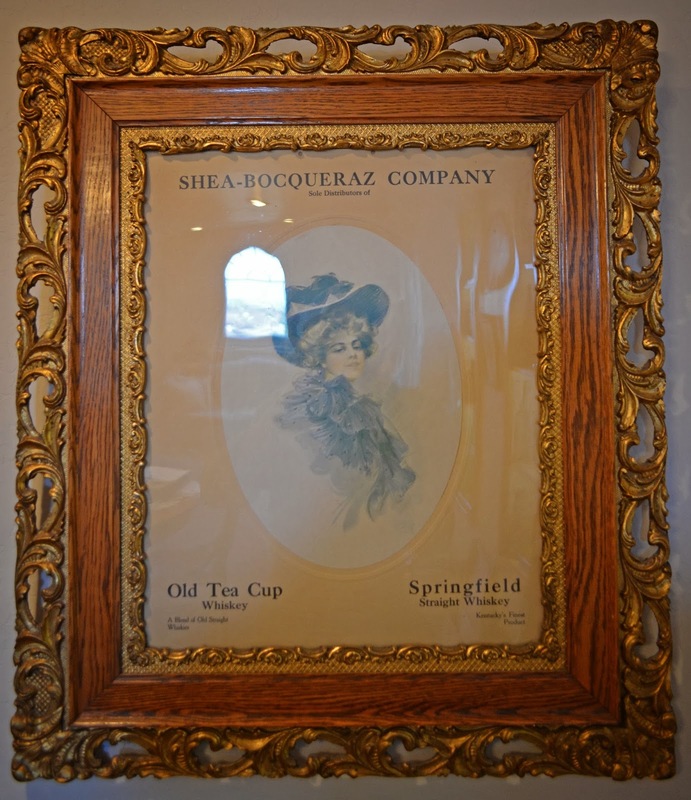 According to the prior owner, the sign originally hung in Kingston Nevada. Not a heckuva lot there now, but back in the late 1860's through the 80's, and again from 1906 - 1911, Kingston was home to a large population of miners (many of them Cornish) who had come from England. Hence; tavern instead of saloon. 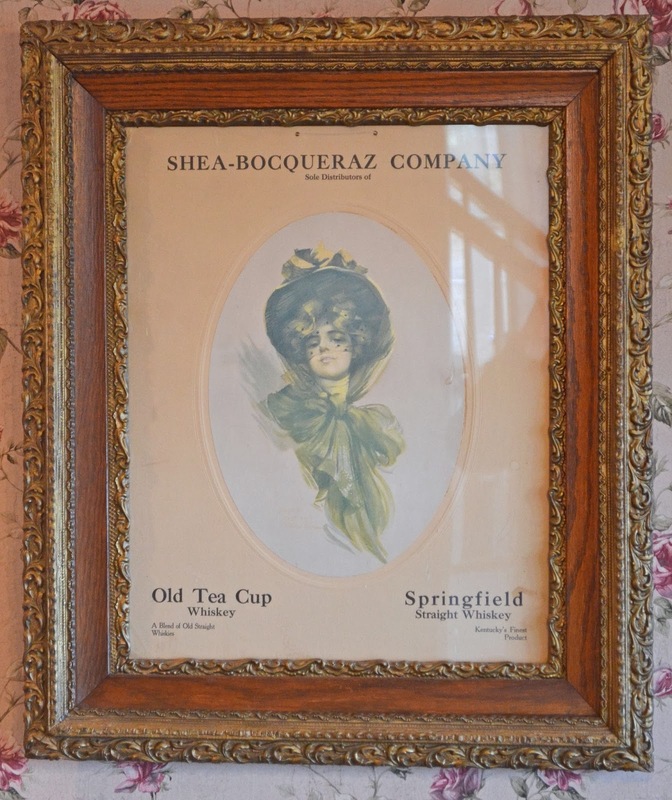 The sign frame is 44" x 16", Eastlake in style, made of hardwood and finished with the typical blood varnish of the era. It pivots at the base (tipping inward at the top) to allow the blazing heat and cigar smoke to escape the saloon (tavern) during the nearly unbearable Nevada summers. Great story Bruce, always nice to have good provenance for our treasures. I would guess the tavern sign to date around the turn of the century or a little after. I have no background on my windows, except that they were bought at an auction in Northern Cal. and said to have come out of a San Francisco saloon, but I wouldn't bet the farm on it! 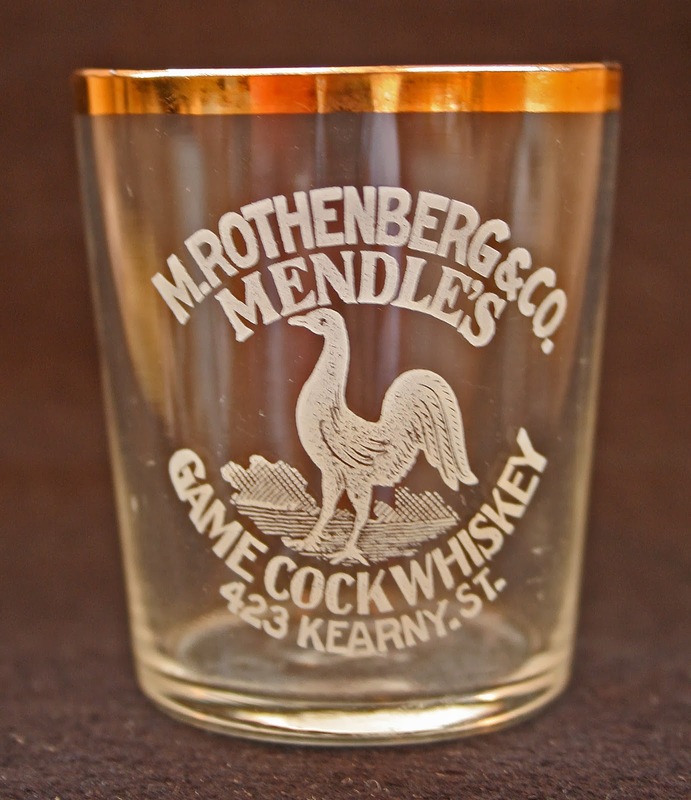 BTW, did you get my email and photo of the Days of 49 Whiskey back bar bottle? Very nice "go-withs" Bruce ! My prize go-with, besides the Jno. C. Morrison signature on the back of one of his invoices, is a killer curved glass lighted corner sign for Jesse Moore !! Wow, would love to see a photo of that sign Tom. How about sending a picture of it to Bruce for all to see! 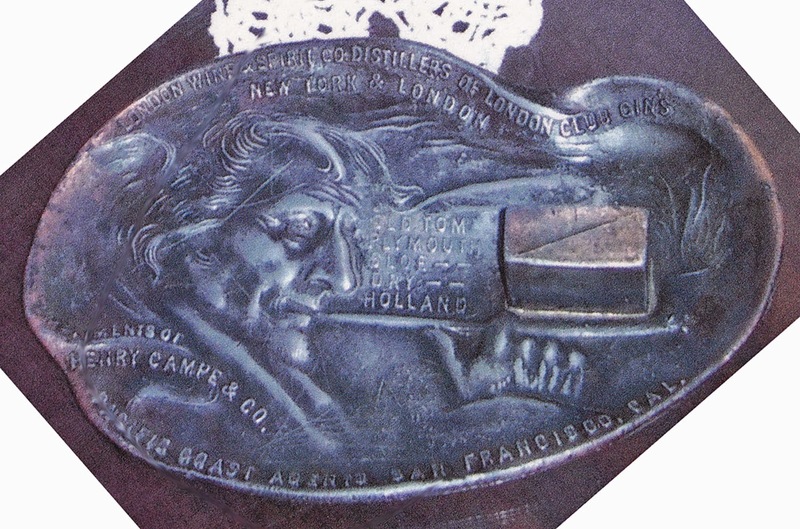 "New" Los Angeles saloon flask discovered!